“This is our church’s last meeting,” a member of a Christian church said sadly after the service one Sunday. The other 20 or so adults gathered in the room murmured in agreement. Discouraged that many people had stopped coming to worship, they were about to close their church permanently. In time, the church’s membership grew to 27, and some of Bumchin’s classmates began to attend the services as well. By the end of the year, all 27 members unanimously voted to become an Adventist church. It is the only time a whole church has been converted in the Adventist Church’s 26-year history in Mongolia. 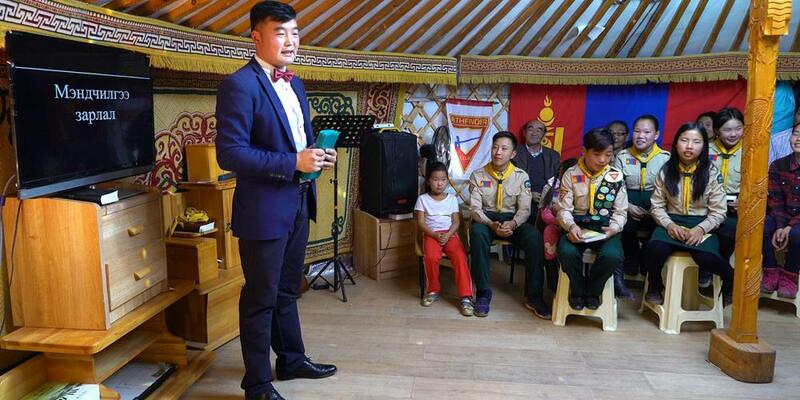 Years later, Bumchin is now a Global Mission pioneer planting churches around Mongolia. Please pray for him and the people in Mongolia who come to know Jesus through pioneers like Bumchin. ‘Doctor Wants Me to Have an Abortion’ A special prayer leads a church member to a hurting mother in the Soviet Union. Strawberry and Spinach Salad A French recipe that is quick and easy to make.